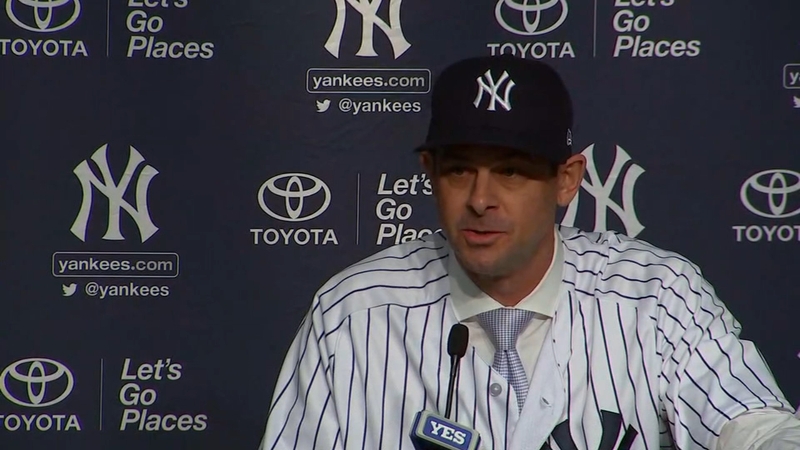 NEW YORK -- Aaron Boone acknowledges that one of his first tasks as New York Yankees manager is to convince his players he can do the job. Boone was introduced as Joe Girardi's successor at a Yankee Stadium news conference on Wednesday. Boone has never managed or coached at any level, working as a broadcaster since last season after retiring as a player in 2009. Boone says "hopefully in short order I'll be able to earn that respect" and convince players "I know what the heck I'm talking about." He says "big league players are great at understanding who's for real or not." He was a third generation major league player, and his father, Bob, managed Kansas City and Cincinnati. Boone will wear uniform 17, his number with Cincinnati and Cleveland; pitcher Masahiro Tanaka has the No. 19 jersey Boone wore with the Yankees in 2003.